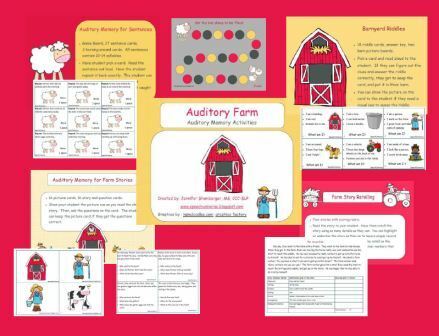 The activities are very similar to Auditory Circus, but with a different theme. 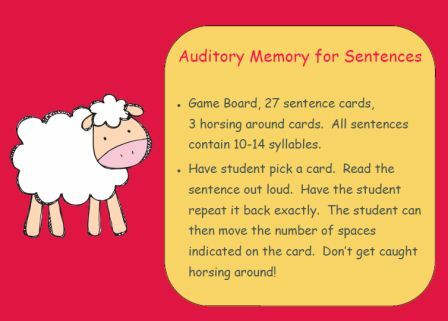 The first activity is Auditory Memory For Sentences. 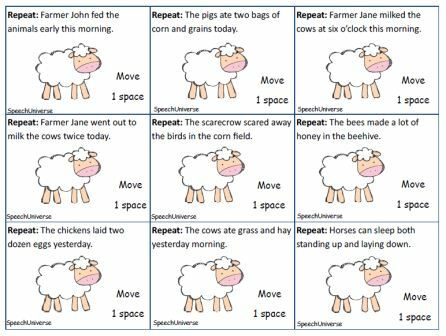 Students are asked to repeat a sentence exactly as it is read to them. 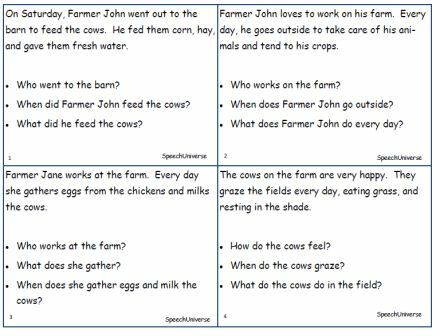 Sentences are 10-14 syllables long. 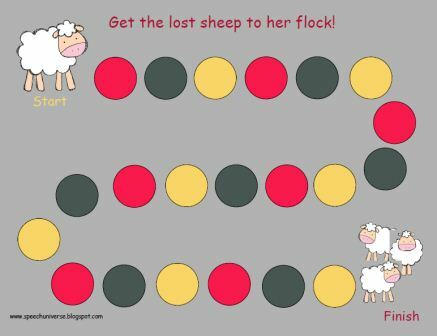 If the students get the sentence correct, they can move a game piece on the game board provided. 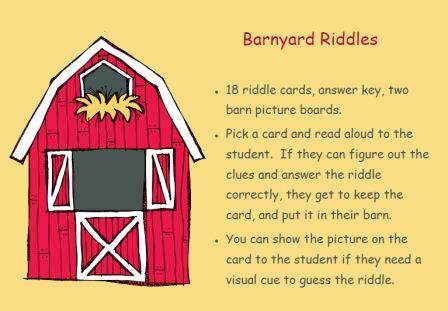 The next activity is Barnyard Riddles. 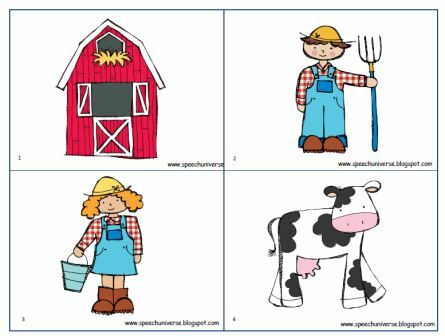 You read the clues out loud, and the students guess what the farm item is. 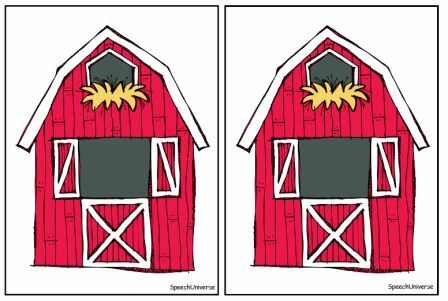 If they get it correct, they can put their card in their "barn." I have not used this packet with students at school yet, but my six year old was begging for me to read more of these riddles to him! 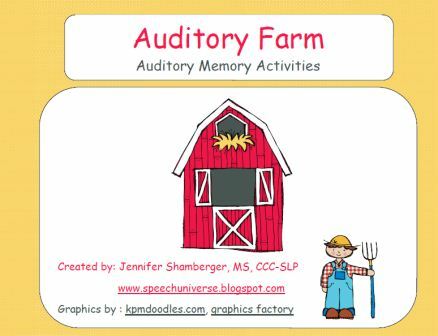 The third activity is Auditory Memory for Farm Stories. 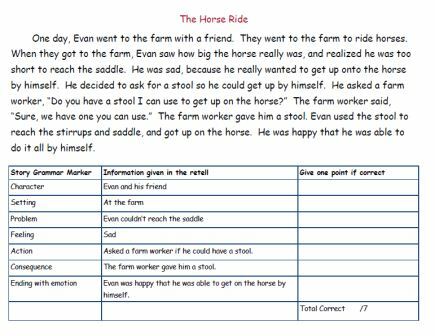 Each story is 2-3 sentences in length. 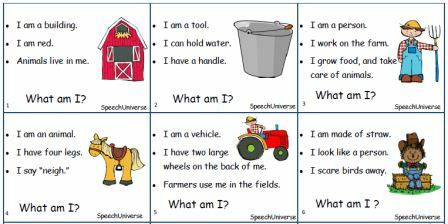 There are three comprehension questions following each story. There is also a simple picture for each story. 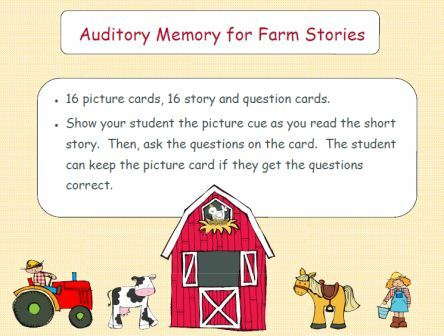 The last activity is Farm Story Retelling. A short story is read to students and they are asked to retell the story. There are no picture cues for these stories, they are purely auditory. 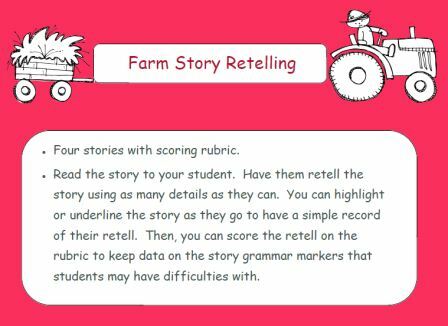 There is a rubric provided for scoring the story retell.